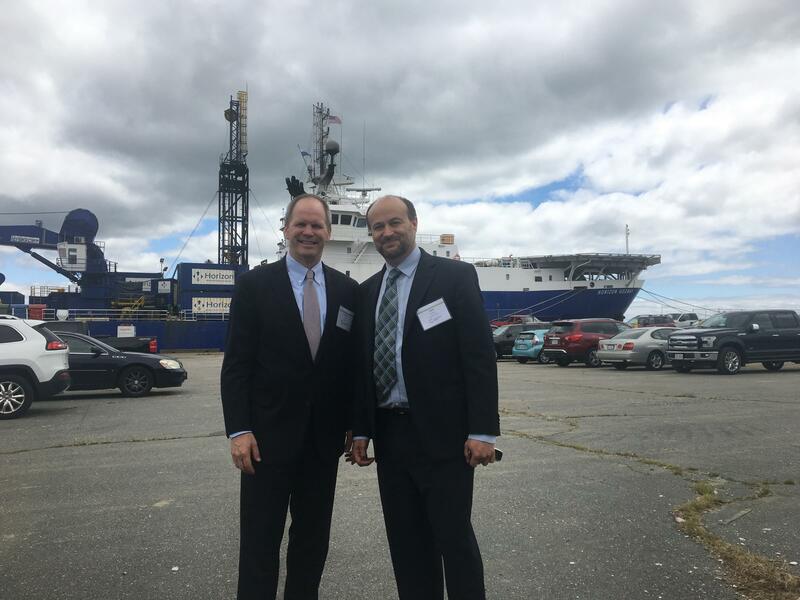 Steve Pike, CEO of the Massachusetts Clean Energy Center and Erich Stephens, Chief Development Officer of Vineyard Wind at The New Bedford Marine Commerce Terminal. Currently, most offshore wind construction operations are performed overseas where those types of farms are common. 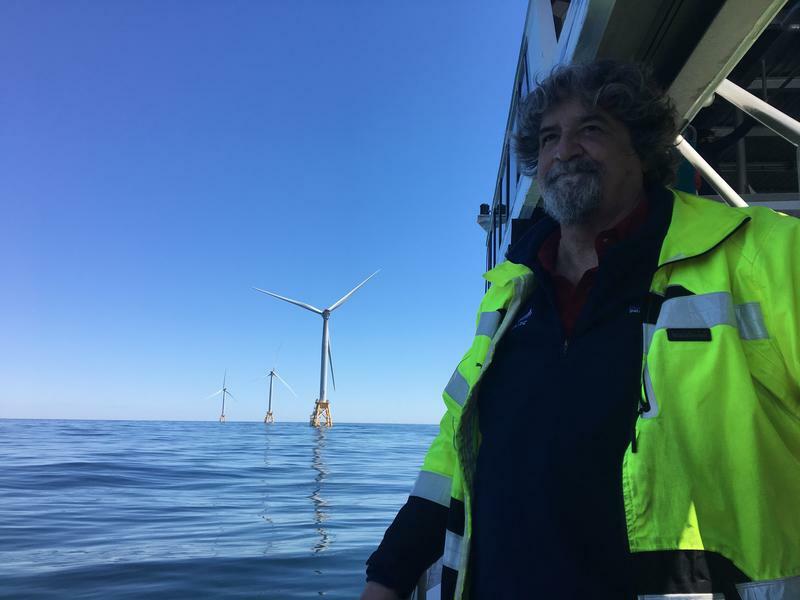 But as Vineyard Wind gears up to begin construction on its farm 15 miles south of Martha's Vineyard, there's hope that the Marine Commerce Terminal, which is owned and operated by the Massachusetts Clean Energy Center, will become the epicenter of work. 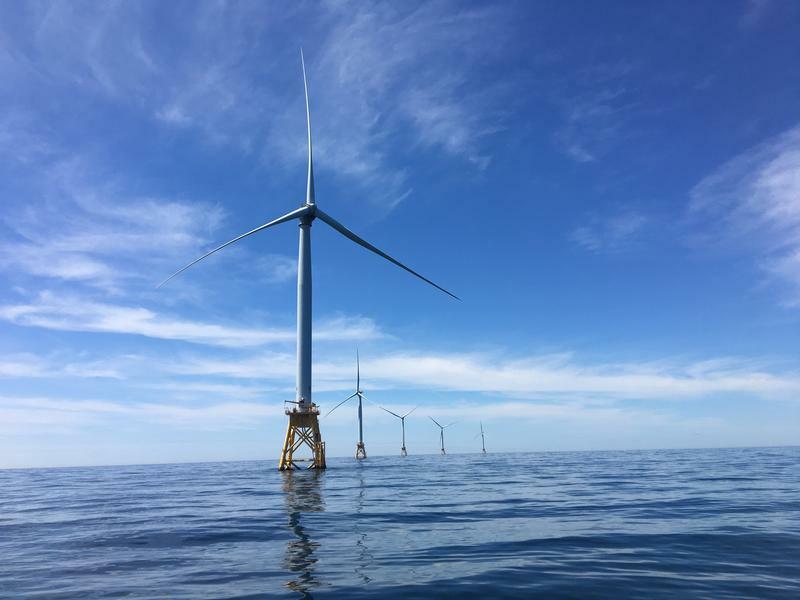 Businesses attended Wednesday's forum to participate in what the state called a "matchmaking" process between them and Vineyard Wind to begin to develop a local offshore wind industry around the terminal. Massachusetts Secretary of Energy and Environmental Affairs Matthew Beaton pointed to the importance of the energy economy. "There’s great opportunity for us to transfer and accelerate our desire and our goals for the Commonwealth to help us no longer be solely a fuel importer and hopefully to one day even be an exporter of energy," he said. And Robert Gardner, the president of Bayline Boatyard in New Bedford, said he attended the event to see how his company could expand its business. "We do a full variety of things from vessel maintenance and repair to crane work to shoreside logistics and trucking so however we might fit into the equation and economy we’d like to be a part of it," he said. The Masschusetts Clean Energy Center estimates that over a thousand jobs could be created from the process of creating and maintaining the 800 megawatt farm over the next ten years.